Parkgate Shopping in Rotherham has again been named amongst the best retail parks in the country in an annual ranking of leading UK retail venues. Retail consultancy, Javelin Group, has produced their VENUESCORE report which assesses the UK's leading 3,000+ commercial venues based on the presence of leading retailers and brands trading there, and evaluates these retail destinations across a range of attributes including market position, age focus, tourist orientation, fashionability and foodservice. The rankings are used by retailers, property agents and investors to find the best retail locations. Parkgate Shopping is ranked as the fifth best retail park in the UK. 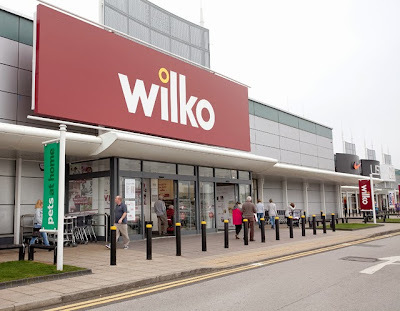 Owned by Hercules Unit Trust (HUT), which is advised by British Land and managed by Schroders, Parkgate Shopping is one of the largest retail parks in the UK, home to over 40 shops and attracting around seven million visitors a year. It is valued at over £100m to the trust via a subsidiary, the Rotherham Unit Trust. The park is 100% let with recent openings by Poundland and Wilkinson, who have both taken ten year leases. The unit operated by collapsed mobile phone retailer, Phones4u has been taken over by network operator, EE. One of the most prominent units, and most troubled, is set to be home to a 45,000 sq ft Ultimate Outdoors store, the new fascia from JD Sports Fashion plc. Kiddicare, the retailer of baby products, recently closed its Rotherham store in the unit, which was previously operated by Best Buy Europe, the failed European joint venture from US electronics retailer, Best Buy and Carphone Warehouse. Also on the park, planning permission has been secured to replace the existing Pizza Hut restaurant with a Nando's and Subway. In the 2014-15 VENUESCORE report, nearby Meadowhall is ranked fifth amongst the UK's shopping centres and 38th in overall venues. Sheffield city centre is ranked 22nd overall.